In the late 1840s, with a family of four young children, Pierre Veronneau made the decision to leave the territory his family called home for nearly 200 years and travel upstream on the St. Lawrence River toward Lake Ontario. He would become the link to the new, Clayton, New York based, American generations of Veronneaus, now known as Denny. Pierre was born just south of Montreal in the village of Les Cedres in 1810. In the 17th century, his family left their native France for new opportunites in what was then known as New France. During his family's time there, France would cede control to Great Britain and Canada would eventually become independent in 1867, a generation after his arrival in New York. We may never know why Clayton became the specific place they chose to settle, but we do know that it was well-established at that point in time, a center of activity in the lumber trade, and of course had a familiar river town feel. 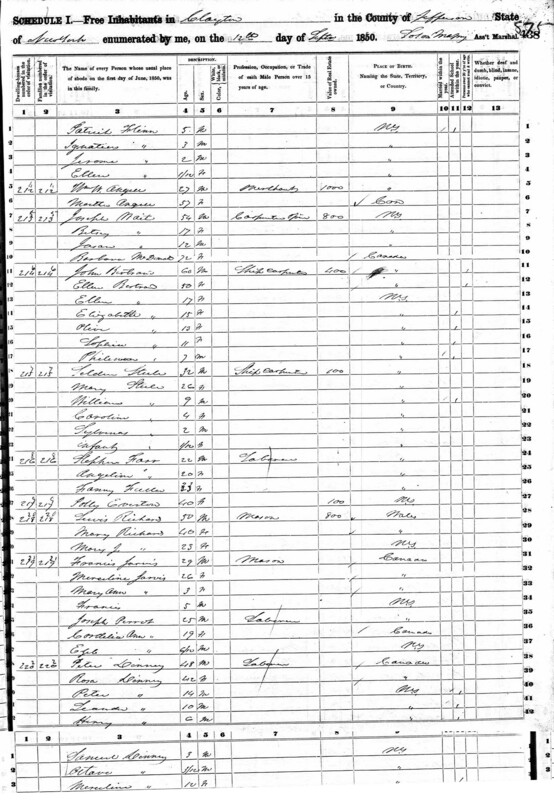 Pierre's brother Joseph also came to Clayton as evidenced in the 1855 New York census, although traces of him are spotty after that. Pierre and Rose had at least two more children after coming to Clayton and remained in the village until their deaths in 1886 and 1887. 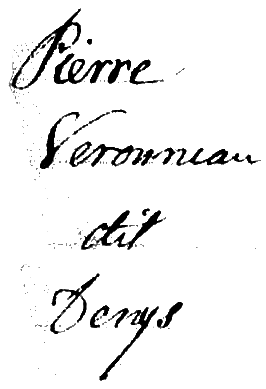 1810: Pierre is born in Les Cedres to Joseph Veronneau and Francoise Levac. 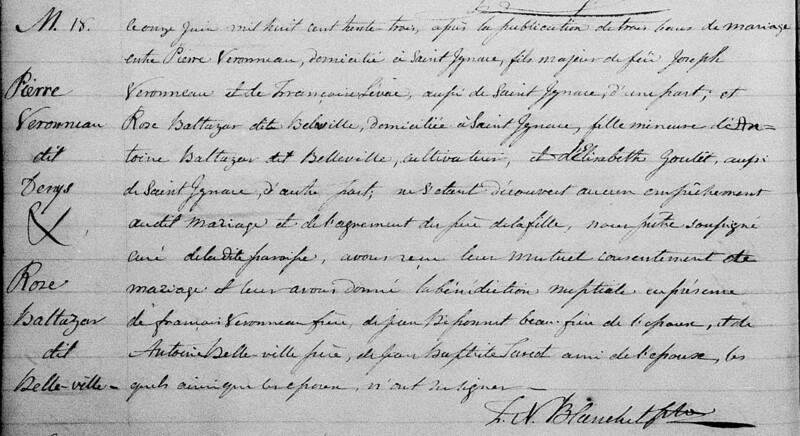 1833: Pierre marries Rose Belleville. 1835-1849: The couple live in Coteau-du-Lac, where Pierre works as a farmer. Pierre, Jr., Honore (Henry), Leander and Samuel are born. 1850: Pierre and family arrive in the United States and he is now known as "Peter Denny" in an attempt to blend in to an American way of life. 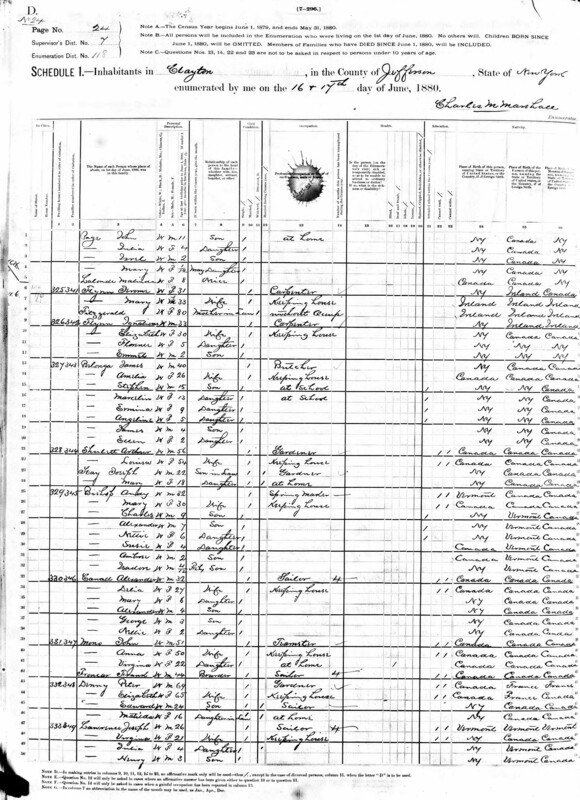 1880: Peter and Elizabeth, now in their 60s, living in Clayton along with their youngest son, Edward, and his wife Matilda LeLonde. 1887: A year after his wife passes, 77 year old Peter Denny dies in Clayton, New York.